There is one simple fact that everyone needs to come to terms with. Every year there’s a new Call of Duty, and for the most part they’re actually all really good games. 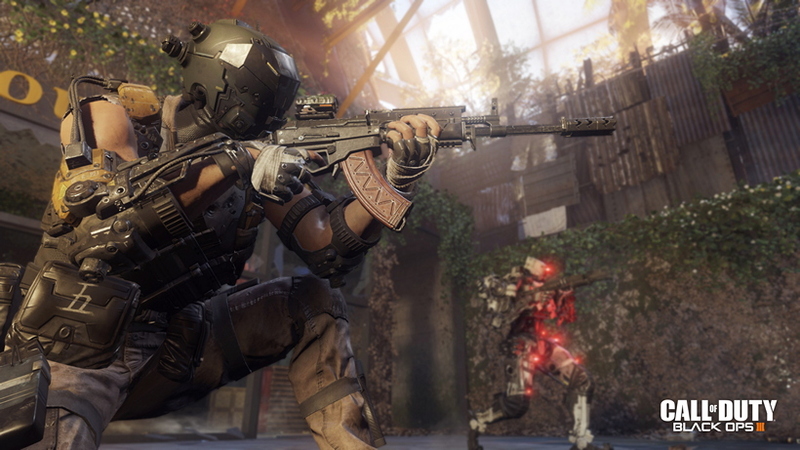 Aside from one or two hiccups recently (I’m looking at you Ghosts), Call of Duty has managed to tweak their winning online formula with some incredible success. It keeps the game feeling fresh, the pros and public alike on their toes, and is a way to stand out from the franchise’s illustrious lineage. There is no better way to describe Black Ops IIIs multiplayer without adding it to that growing list. 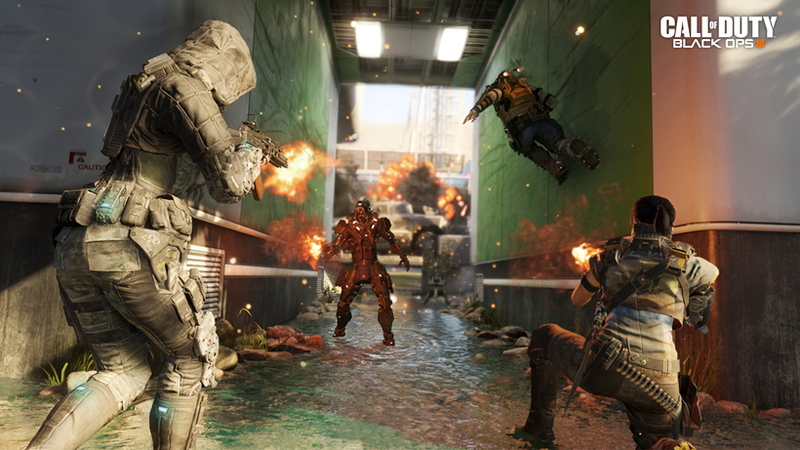 Stepping into an extended play sessions of some game modes in the multiplayer portion of the game, I had a slight idea of what to expect, Black Ops III had learnt a few things from Advanced Warfare – offering all players a small little thruster which opened up boost jumps, rocket propelling slides and some really familiar wall running. 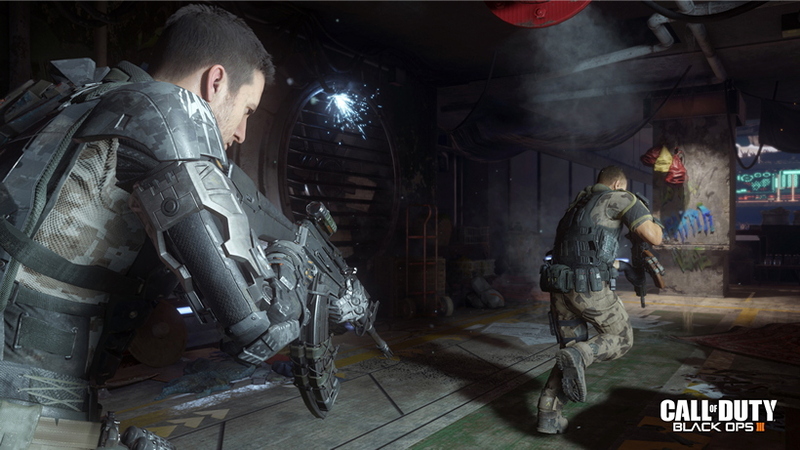 That was the change Sledgehammer brought to the series, and it fits in right at home with Black Ops III. It also goes hand in had with some truly smooth animations around the board. Vaulting out of a window carries a lot more weight to it now, and overall the interactions your character have with the world around him seem far more intuitive. Again not typically unique, but an improvement nonetheless. This extends to class creation, which is fairly standard fare ever since Black Ops II introduced the tweaked and changed points system. You’ll be able to equip whatever combination of weaponry your heart desires, as long as a certain limit is adhered to. What was curious this time around though was the inclusion of a tactical knife – which bestowed the now stripped ability of murdering your foes with a single melee button press should they find themselves without the sharp end of the stick. What was different (and what makes up the biggest shift in Black Ops III multiplayer) was Specialists. Being set in the not too distant future, soldiers of this time are hyped up on all sorts of bionic enhancements and improvements. Picking a Specialist not only changes things like gender, appearance, voice and more, it also changes the way you approach class creation, enemy engagements or just harmless fun. Each Specialist comes with a perk that charges over time in game. These rewards are then bestowed upon the player – either in the form of lower Killstreak scores, a HIVE weapon that shot what looked like bee hive mines and one particularly useful Blink-like ability. These dramatically change the tide of the battle, with a single player rocking a bionic minigun arm able to mow down enemies with complete ease. What surprised me was how well they integrated into the near perfect close quarters formula of multiplayer Call of Duty has had for so many year. Running into a enemy that can literally reverse your last few seconds of damage is jarring at first, but it becomes a much more enjoyable experience when you start messing around with abilities of your own. On of my personal favourites was a Bow and Arrow belonging to a Hunter-like female Specialist. With the arrows primed with explosives, it was easy to take out massive groups of enemies at a time – something my assault rifle a few seconds ago would struggle with. 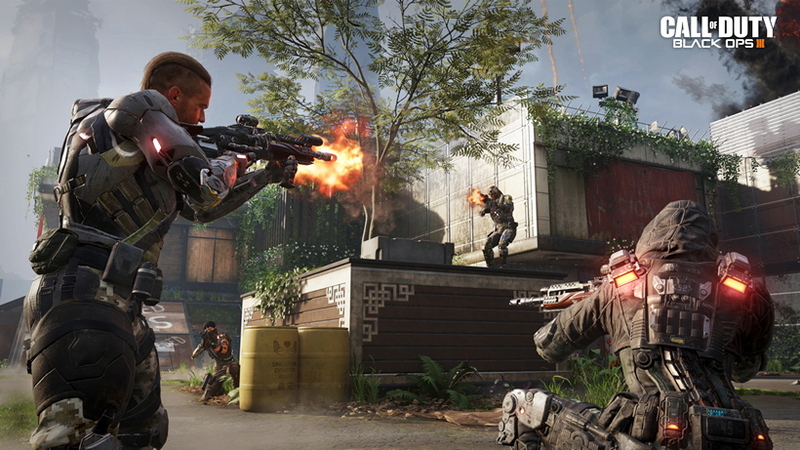 Couple that with the neat little movement enhancements, and Black Ops III was a faster, just as chaotic experience that you’ve probably already played. there’s nothing wrong with that either too, since it’s going to take much more than a few passive/aggressive abilities to sway them back into the franchise. At this point, I don’t think that’s even really important to Treyacrh – who are simply trying to do their past prestige justice with some long standing Call of Duty revolutions. Just how much more there is to see aside from this short demo remains to be seen though.